César Azpilicueta has signed a new three-and-a-half-year contract with Chelsea. The new long term contract with see Azpilicueta stay at the Stamford Bridge club until 2020. The Spanish international joined Chelsea for just £7m four years ago. Azpilicueta has told the club’s official website that he is really happy to stay at Chelsea, and is aiming for more success with the Blues. 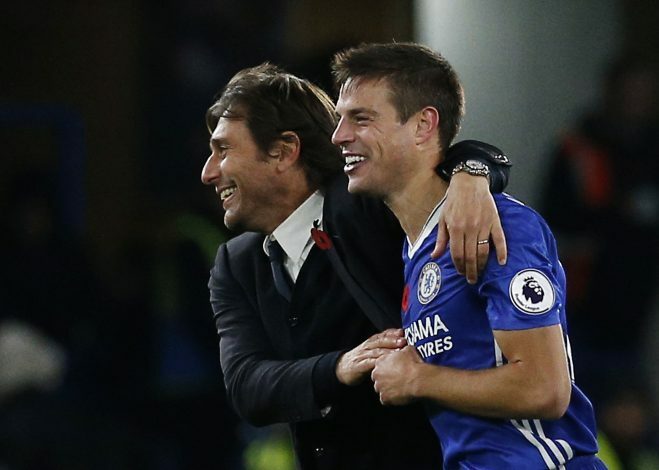 He has played 199 games for Chelsea since arriving in 2012, and Chelsea boss Antonio Conte seems to be impressed with Azpilicueta’s commitment. Chelsea bought Azpilicueta from Marseille in 2012 for just £7m – a business Conte described as a bargain. “Look back, it was a good piece of business [bringing Azpilicueta in from Marseille] for us, for Chelsea,” the Italian added. Azpilicueta, now in his fourth season at Stamford Bridge, aims to win trophies and bring success to players, managers and fans.